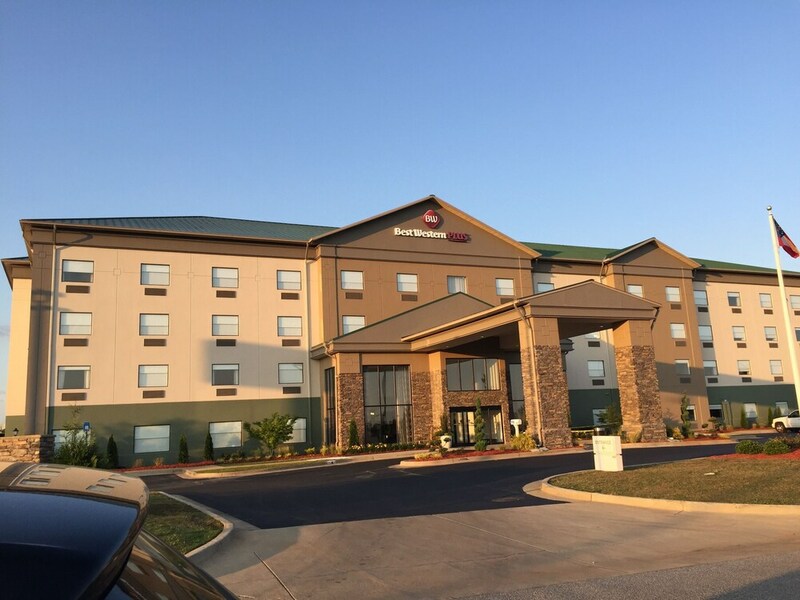 With a stay at Best Western Plus Columbus Ft. Benning in Columbus, you'll be within a 10-minute drive of Columbus State University and Hughston Clinic. This hotel is 8.7 mi (14 km) from Columbus Civic Center and 3.7 mi (6 km) from Heath Park. Make yourself at home in one of the 88 air-conditioned rooms featuring refrigerators and microwaves. Complimentary wired and wireless Internet access keeps you connected, and premium TV channels provides entertainment. Partially open bathrooms with shower/tub combinations feature complimentary toiletries and hair dryers. Conveniences include safes and desks, as well as phones with free local calls. Take advantage of recreation opportunities including an outdoor pool and a fitness center. This hotel also features complimentary wireless Internet access, gift shops/newsstands, and a television in a common area. A complimentary full breakfast is served on weekdays.